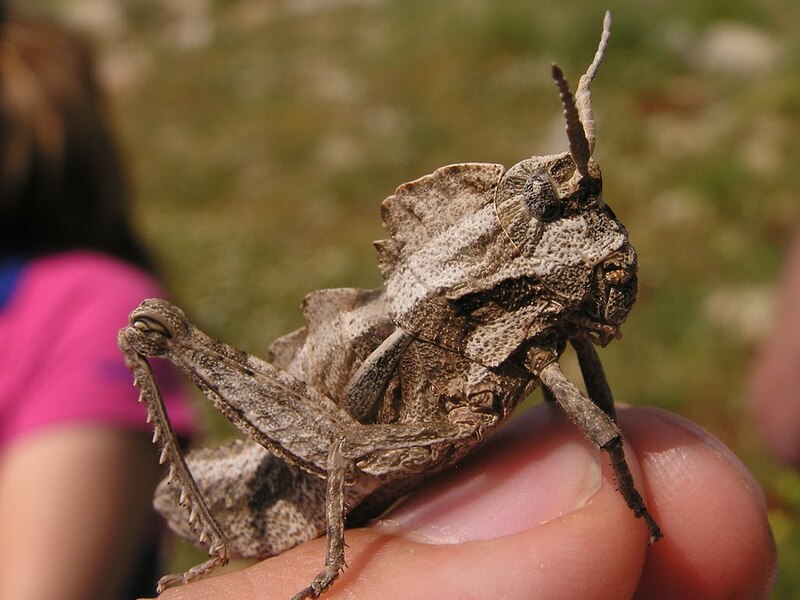 Anyone know what kind of grasshopper this is? Of course, I'm assuming it's a grasshopper, and not some stone effigy exhumed from an archeological dig. Or maybe a top-secret government robotic drone sent out to collect data on its citizens. Or maybe just a simple insect with an urge to bury its mandibles in my jugular. UPDATE: Edward thinks this is a Pamphagid, and I'm inclined to believe him. I know what that is-RUN! Run for your life! Other then adding "It might be a locust" to this, I got nothing. I wanna give him a big not-afraid-of-you hug!! autch, it looks like a warrior! He looks like he should be guarding a fortress somewhere. Very somber and uptight, I think!